Come be part of the 3rd Annual Children’s Bicycle Patriot contest! Children will be able to ride or walk their bike in the Patriot Parade! First Place is $50, Second Place is $30, and Third Place is $20! 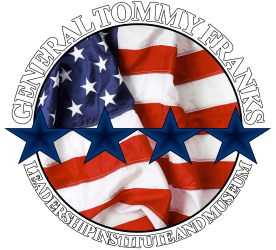 Children ages 4 to 12 (ages 4-8 must be accompanied by an adult) can register by stopping by the General Tommy Franks Leadership Institute and Museum before May 21st. Parade lineup will begin at 9:00 a.m. on June 18, 2016 at corner of 7th and Main Street with judging taking place at 9:45 a.m. Anyone coming late will not be judged or eligible for prizes, but may ride in the parade. Winners will receive their prizes following judging and will be publicly announced at the GTFLIM after the parade. Registration forms signed by a parent or guardian are required and must be turned in by May 21, 2016. The forms are available online at www.celebrationoffreedom.com. Forms are also available at GTFLIM, 507 S Main Street, Hobart, OK 73651. For prizes, judges will only look at those entries that use a Patriotic theme. Must incorporate Red, White and Blue. Costumes may be worn but must not interfere with rider’s vision (all must be appropriate for family atmosphere). Decorations must be completed before arrival to parade, and attached firmly. Decorations must not interfere with safe operation of the bike. Bikes can be two or three wheels (training wheels are permitted). No motorized bikes/cars are permitted for this contest. Bikes must be in safe, operating condition. Bike riders must wear bicycle helmets at all times. Other safety equipment is optional. All equipment is the responsibility of the participant and will not be provided. 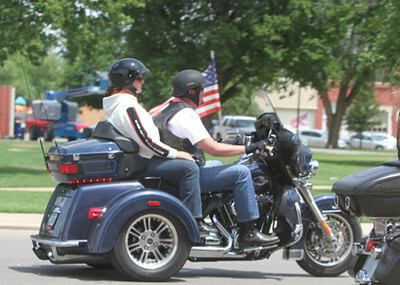 Entrants must ride their bike or walk along with it in the Patriot Parade.